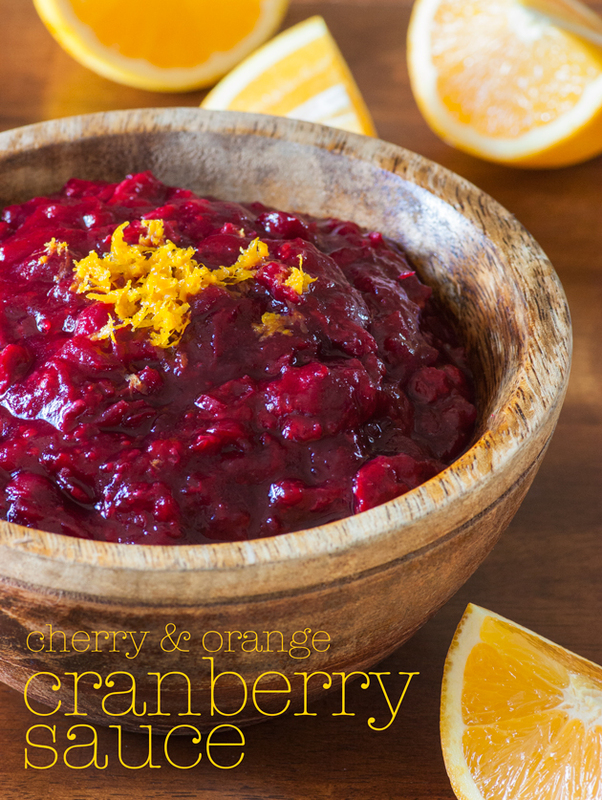 I use Cherry Stevia in this Cherry Orange Cranberry Sauce. Don’t care for stevia? By all means, use more maple syrup. Taste and sweeten it to your liking. With the holidays upon us, it’s time to feast again. I don’t know about you, but I’m still recovering from Thanksgiving—lots of family, hiking, biking, laughing and food! For Christmas and New Year’s Eve we’ll slow things down a bit. I’ll pull a bone-in turkey breast out of the freezer and brine it and serve it with this Cherry & Orange Cranberry Sauce—a recipe my sister-in-law and I crafted on Thanksgiving day. This home run of a recipe calls for two secret ingredients, NuNaturals Cherry Stevia and a dash of Grand Marnier! I know my kids get sick of it, but I’m always trying to reduce the sugar in the things I make and bake. Since discovering NuNaturals liquid stevia concentrates (the best on the market in my opinion), I have taken to cutting sweeteners like honey, coconut sugar, and maple syrup in half and sweetening to taste with zero-calorie stevia. And so I did with this cranberry sauce. Last week I received samples of NuNaturals’ newest liquid stevia flavors. NuNaturals liquid stevia flavors now include Lemon, Orange, Peppermint, Vanilla, Plain, Cherry Vanilla, and Cherry. Oh yeah! I used Cherry Stevia in this cranberry sauce and it was perfect! If you don’t use stevia, by all means, just use more maple syrup. Dip in and taste it and sweeten it to your liking. Bring to boil and reduce to a low simmer and cook until cranberries begin to burst, 20-30 minutes. Mash with a fork or for a smoother sauce blend using an immersion blender.